Vision Gallery partnered with Rosin Eyecare in October 2015. 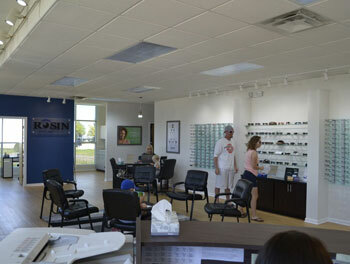 Vision Gallery in Joliet, Illinois is a reputable, well-established practice offering quality eye care services and products for the whole family. Count on our eye care professionals to help keep your eyes healthy and vision clear. Dr. David Pesavento has been practicing optometry for an impressive 30+ years. 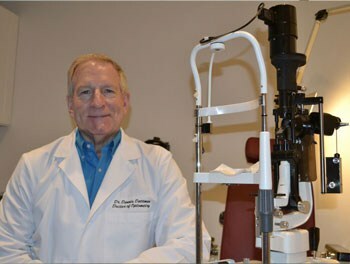 He has extensive experience diagnosing, treating, and managing diseases of the eye and visual systems. This location offers a wide variety of eye care services, from annual vision exams to LASIK consultations and procedures. Our expert staff will happily assist you with any questions you may have regarding the procedure, as well as treating medical conditions like glaucoma. Our eye examinations are second to none, and we can help you choose from our large inventory of frames and a wide array of Spectacle lens and contacts lens styles. With frames for men, women and children, our Joliet office has everything you need to maintain the best vision possible. Call us today for an appointment at (815) 436-1144. *From the West: Take Caton Farm Rd past Wedgewood Golf Course. Continue east crossing over the DuPage River and Interstate 55. Once you reach CVS turn right onto Essington Rd and continue south. We are located on the left in Paolucci Diamond Center. *From the South: Head east on US-52 E/W Jefferson St past Joliet Regional Airport-Jot then turn left onto E Essington Rd. Continue north on E Essington Rd passing Rock Run Preserve – Paul V. Nichols Access. You will find us located on the right just past Black Tie Formalwear.